A Free and Open Source Workbench for Software Dependency Analysis. 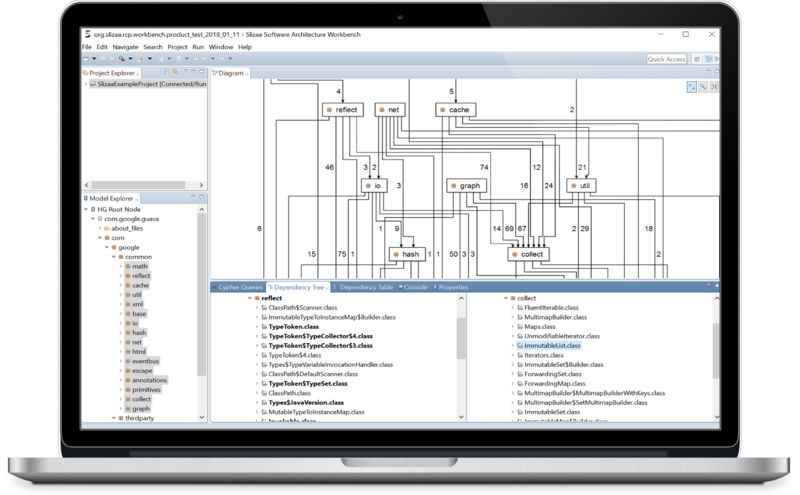 Slizaa is a free and open source workbench for software dependency analysis. Slizaa provides a set of sophisticated tools (e.g., a dependency structure matrix, a graph view or a powerful cross referencer) to interactively explore and visualize the dependencies and the structure of your application. On top of that, Slizaa allows you to search for arbitrary patterns in your code base using the simple but powerful Cypher query language directly from within the workbench. Maintainability of software is inversely proportional to the number of dependencies. Without continuous surveillance applications sooner or later become hard to maintain due to unwanted 'accidental' dependencies. For a continuous and efficient monitoring of your applications dependency structure, tool support is crucial. Slizaa provides an easy to use solution for dependency analysis and visualization. Slizaa allows you to scan arbitrary (Java-based) applications and store their structural information in a graph database backend. All these structural information is accessible directly from within Slizaa using the integrated Cypher query console. As searching for patterns in a flat graph can be a confusing and cluttering task, Slizaa provides customizable mappings to create hierarchical views of the stored software structure graph. 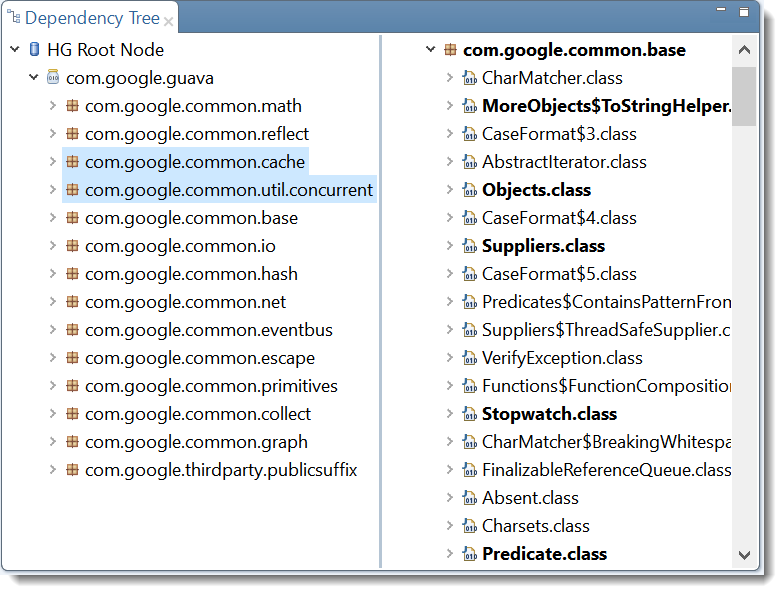 Using hierarchical views makes exploring your application's architecture as easy as browsing code in your favorite IDE. The Dependency Structure Matrix (DSM) is a compact and straightforward visual representation of artifacts and their dependencies in the form of a square matrix. Slizaa provides an efficient DSM viewer to visualize your project's dependencies at any level (e.g., subsystems, packages or files). A Dependency Graph is a directed graph representing dependencies of several artifacts towards each other. 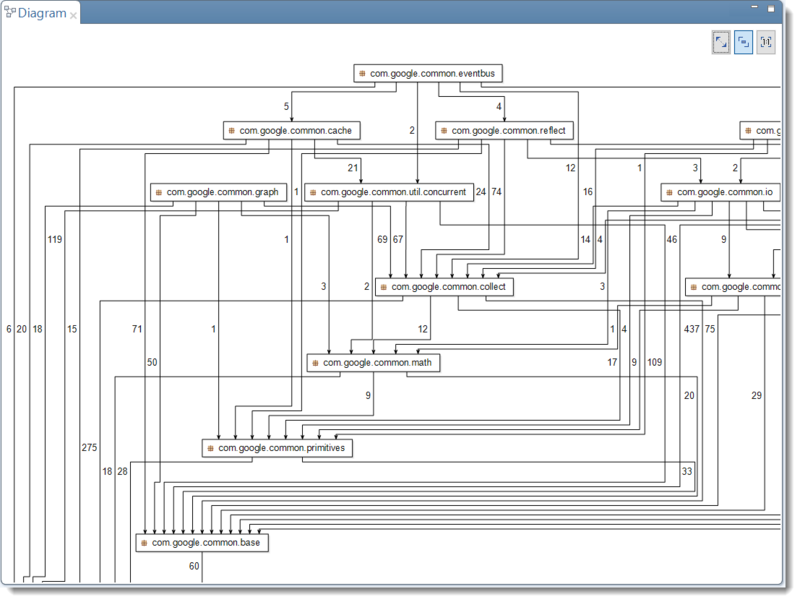 Slizaa's Dependency Graph Viewer visualizes the dependencies of your project using a powerful layout algorithm based on the Eclipse Layout Kernel (ELK). 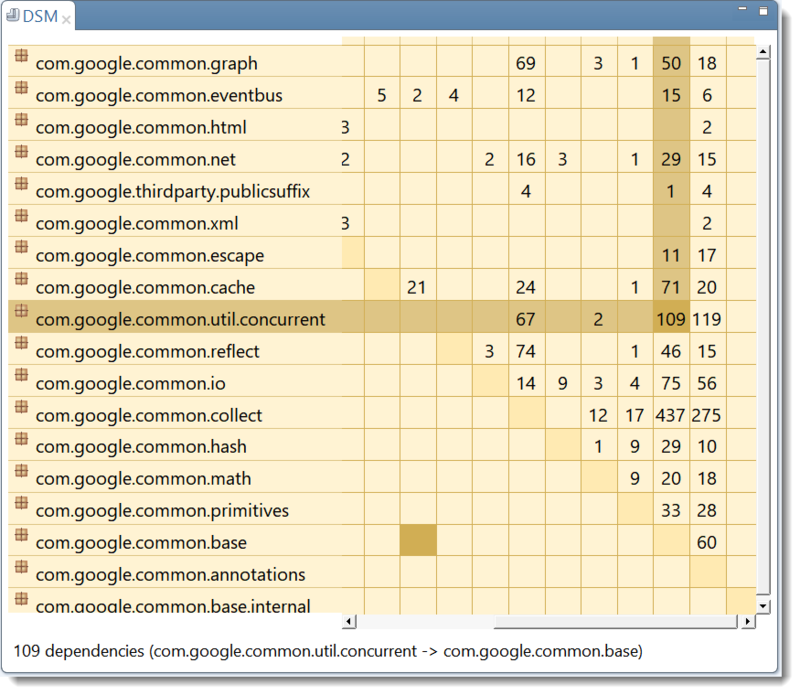 The Cross Referencer is a high-efficient tool to investigate the incoming or outgoing dependencies of your system's artifacts. Starting with higher-level elements like sub-systems or modules, you can drill-down on arbitrary levels (e.g., the type referenced from within a single method). Focus on just those dependencies you're currently interested in by cropping your current selection with the Cross Rerencer's 'crop-selection' tool. 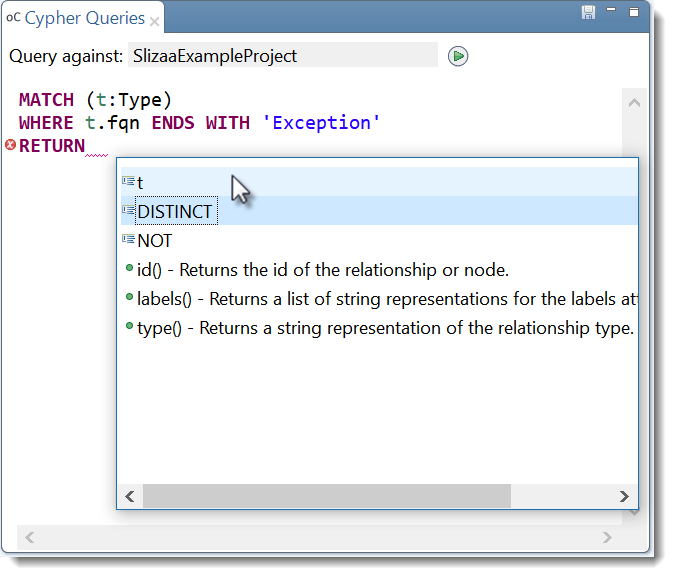 Write your own custom queries and execute them against the Slizaa database using the Cypher Query Console. The Cypher Query Console fully supports the latest OpenCypher specification and provides syntax and semantic coloring, error checking and auto-completion. You can use Slizaa with any graph database that supports both theBolt network protocol and the Cypher graph database query language. However, Slizaa comes with out-of-the-box support for embedding Neo4j as an in-process database. 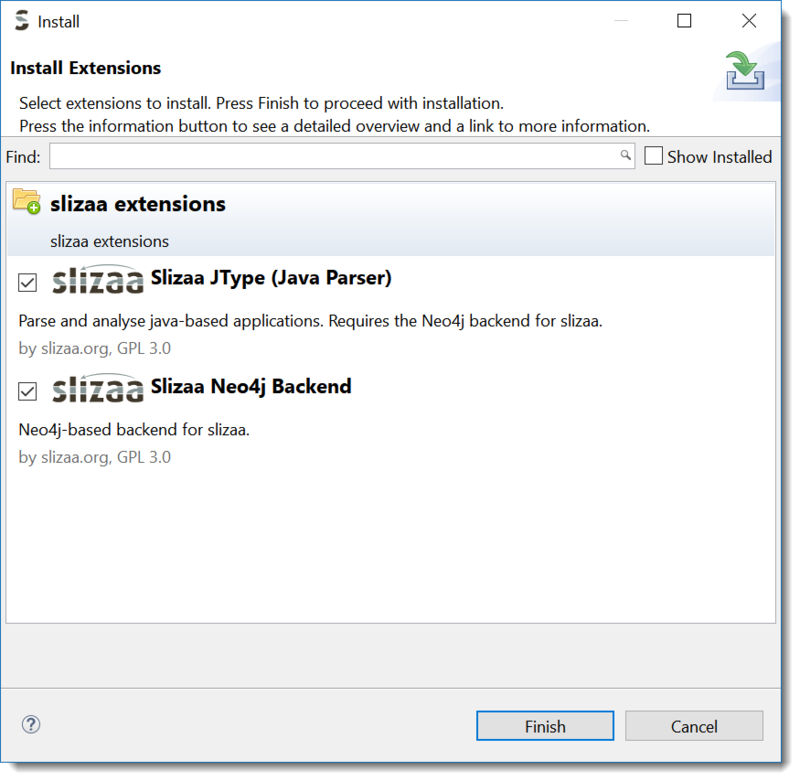 Simply install the 'Slizaa Neo4j Backend' extension from within the workbench using the Slizaa extension dialog (note that Neo4j database extension as well as Slizaa's Java parser 'JType' are licensed under the GPL 3.0).